lemonade lists: Vedge. That sounds dirty. We went to Vedge less than half an hour after I arrived in Philly. Justin couldn't find a parking spot. Horrendous parking and traffic were themes of that weekend. The hostess complimented my striped dress and red tights. 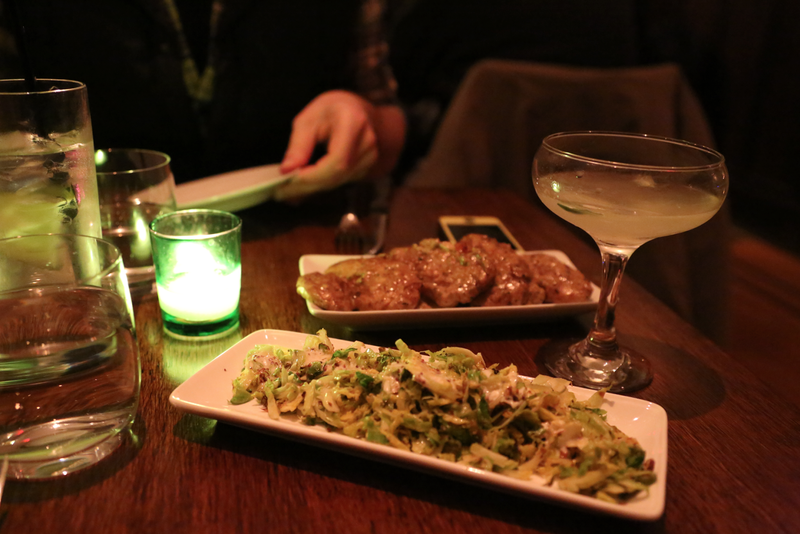 We ordered off The Dirt List - grilled Brussels sprouts and mustardy fingerling potatoes. 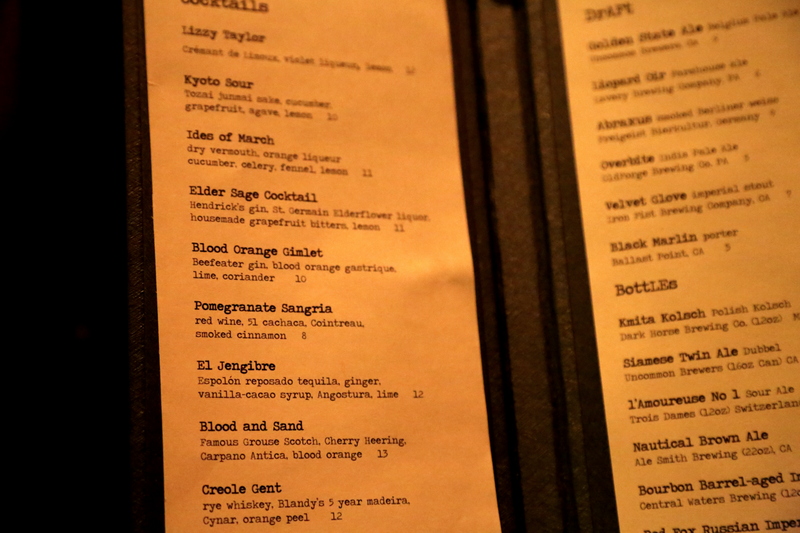 I tried the Elder Sage cocktail. The sage leaf was wilted. I judged. The menu said both funky and fancy, and I liked the typewriter font. I refrained from ordering dishes that were mushroomcentric. Justin does not like cauliflower, eggplant, coconut, beets, and mushrooms - sure, you won't find those at all in a vegan restaurant. To be fair, he will try them, but nine times out of ten he will not like it. I take that back. He did like a mushroom focaccia pizza situation from Dean & Deluca in Soho, but come on, we had been walking all morning and anything sautéed with garlic in butter is bound to be delicious, picky vegetarian or no picky vegetarian. Dessert, a white chocolate panna cotta with a blood orange agrodolce, was the highlight of the meal, aside from those Brussels sprouts. I had such high hopes for the pomegranate jelly doughnut, but it was made of chickpea flour and had the texture of a cake doughnut. I do not like cake doughnuts. It's just occurred to me that I do not remember much of the entrée portion of the meal. I now want panna cotta at 1:55 in the morning.